If you are looking at buy or sell real estate it’s best to be well informed and work with professionals who have the experience you need. Sam Stein has over 23 years experience assisting real estate buyers and sellers. 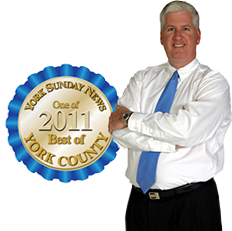 He is a full time, licensed Realtor in Pennsylvania, and expert of York County. Sellers will benefit from his comprehensive Marketing Plan with a focus on online marketing. Buyers will receive undivided attention throughout the transaction.